Last week, TI Invited me out to their Dallas, Texas headquarters as part of an editors day. There they showed and talked about a number of exciting projects, including their WiLink combo WLAN, GPS, BT, and FM solutions, MSP430 microprocessors, their C66x multicore DSP, and of course more information on OMAP5. If I had to pick a highlight however, it was being first to see Netflix HD playing back on a real live Android 2.3 device, in this case TI's Blaze development platform with an OMAP4430 SoC inside. Back when Netflix brought an official playback client to Android, modders were quick to discover that playback could be enabled on unapproved devices simply by modifying build.prop. What it boiled down to was that you could enable Netflix playback on unapproved devices merely by masquerading as an approved one. 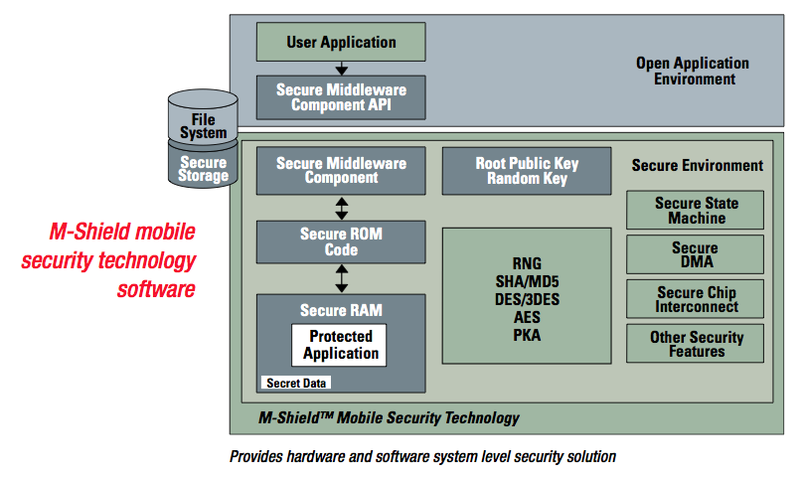 Further, the list of approved devices didn't clearly delineate any specific SoC. At the time, this made things confusing - it seemed as though Netflix was not in fact using any hardware specific DRM. Turns out they really weren't. There are two different levels of Netflix certification, and every device has to go through it individually. The first level is essentially a playback test - call it an anti-slideshow benchmark. If the device plays back SD Netflix streams with acceptable performance, the device passes, is certified, and thus granted access to SD streams. This is the level that devices on Android are at right now, and the reason why it's just a matter of masquerading as another to playback simple content. That's also why it works across so many different SoCs. The second level is for HD content, Netflix's 'premium' level. Here, Netflix is forced to have a much more rigorous set of requirements so that it can fulfill contractual agreements with its content parners. To playback HD content, the entire end-to-end chain must be DRM-enabled, at no point in the playback datapath can the video stream be unprotected. That means decoded and uncompressed frames, audio, and device secrets must only exist in 'firewalled,' protected memory that the OS can't get access to, the decoder can only exist in a trusted execution environment, and HDCP must be used for the stream to be output over HDMI. Netflix obviously takes its HD content protection much more seriously so the entire 720p or 1080p H.264 video can't simply be dumped to an SD card by watching memory. What it boils down to is that Netflix requires Microsoft PlayReady DRM compliance across every tier of hardware before it will allow HD streams to playback. TI does this on OMAP4 using everything under its M-Shield security porfolio, which is a combination of Trusted Logic's secure middleware component running in an ARM TrustZone (a feature common to all ARM Cortex-A class processors). In addition, that HD content can be output over HDMI to HDCP-compliant displays. Think a Roku box but in your pocket. Last Friday when TI showed me the Blaze playing back 1080p Netflix content, it had only just begun the final stage of its certification. Though I wasn't allowed to take pictures or video, sadly, the Netflix client was otherwise identical to what's in the Android market right now, except with HD video. Video playback was buttery smooth and instantly locked onto the highest quality stream. I tested a number of different things in the catalog from 720p to 1080p, including the Netflix test videos, all of which played back without a hitch. Things are wrapped up now, with OMAP4 now being granted a Netflix Silicon Reference Implementation (SRI) certification for Android 2.3. I asked the TI folks a bit more about how Netflix certifies devices, and learned that each handset still will undergo its own testing just to make sure each OEM's implementation works. In addition, that secure RAM protected memory is a statically allocated 8 MB, something it believes almost every OEM will have no problem going with. The obvious first place for HD Netflix playback with HDMI out to show up is the upcoming Motorola Droid 3, which we've already shown includes an OMAP4 SoC. No doubt the handset will come with a compliant Netflix application preloaded should it leverage this certification. I fully expect other SoC vendors make their respective announcements about being Netflix HD certified in due time. Qualcomm is probably next in line, as they already advertise both OMA DRM 2.1, TrustZone, and Microsoft WMDRM 10 compliance (which PlayReady is backwards compatible with) for MSM8x55 and MSM8x60, with the latter including HDCP. For now however, OMAP4 is the first to be able to enjoy HD Netflix content. "What it boils down to is that Netflix requires Microsoft PlayReady DRM compliance across every tier of hardware before it will allow HD streams to playback." They need to just maintain an equivalent level of security (memory protection, sandboxing, HDCP, e.t.c.). No doubt they're doing that, or they wouldn't ever be given HD stream approval. This notion of HD content having to be 'protected' by draconian DRM when said content is already freely available at your local torrent site never stops being amusing, albeit in a rather sad and confusing way. I realize it probably isn't Netflix mandating these requirements, rather the content providers, but it's still rather difficult to understand. I mean if I intended to rip/copy and upload content why buy/rent said content on a mobile device rather than the local library, grocery store or dedicated video store where you can get actual, physical disks. That's great! Now would you PLEASE license the OpenGL 2.0 driver from Imagination Technologies for the OMAP4 so that we can actually run existing 3D-accelerated Linux software on the thing instead of having to wait for OpenGL ES versions of everything (or do it ourselves, which is silly considering how much software out there uses OpenGL)?